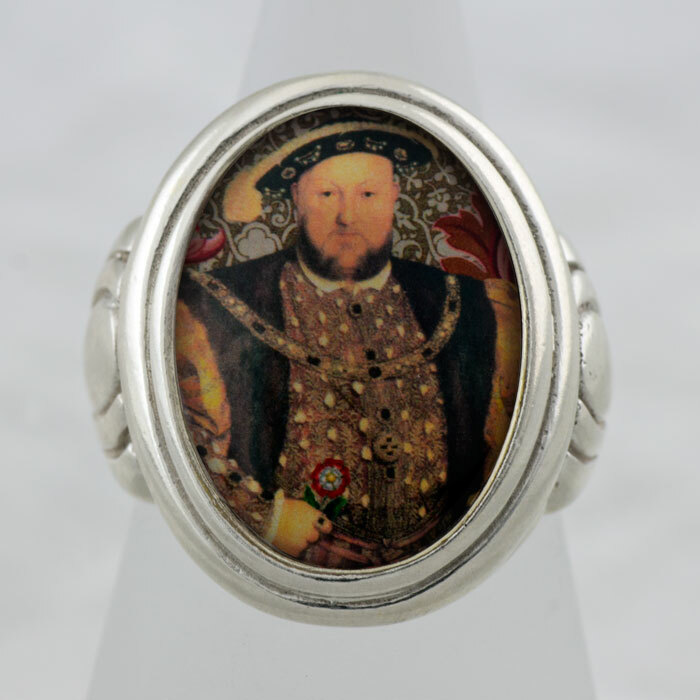 This beautiful, unique and collectible ring features a collage by Tiffini of King Henry VIII holding The Tudor Rose with pieces of antique bookplates and ornamental papers. 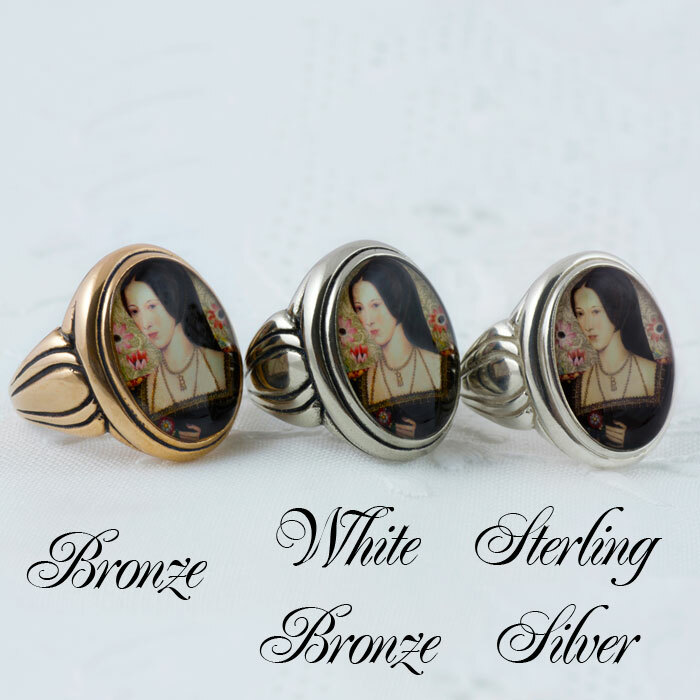 Set in an oval shaped ring cast in your choice of .925 solid sterling silver, antiqued bronze or antiqued white bronze. 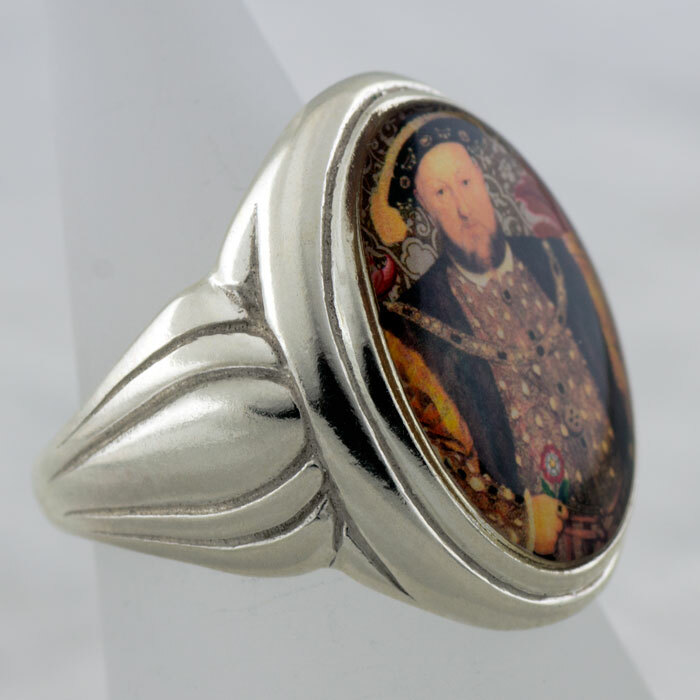 White bronze is a bit darker then sterling and offers one advantage silver does not, namely that it does not tarnish.